Hunter Oct 05 2017 11:07 pm Very versatile actor, great screen presence and I love his voice, it is very commanding. Love to see him in a war or gangster type movie. 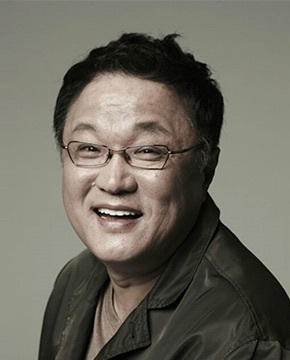 I am currently watching him in Hospital Ship and he suits the role of head of the hospital. re: marian Jun 02 2016 1:47 am i think he's actually a pretty good actor. i watched him be a caring and righteous father/husband figure in house of bluebird and jang bo ri as well as corrupt conglomerate boss and he absolutely nailed both roles. marian Aug 13 2015 12:07 am such an annoying actor. cant stand his "breathing" (more like wheezing) saw him on Spy but hopefully never again.